From time to time, many listeners and readers write to us and say: “There is so much negative propaganda about Swami. Why don’t you use the Radio, H2H etc., to rebut this nonsense?” The latest occasion for such remarks happens to be a TV program that has apparently been aired in Australia, which, not unexpectedly, made many devotees there extremely agitated, to say the least. I would now like to break our silence and comment on why we refuse to waste our time on pointless rebuttals. Perhaps you would understand our attitude better if I were to start by telling you that our attitude to such matters is always conditioned by what Swami has said and continues to say. To give you a better idea of what I mean, let me take you way back to the year 1947. I wonder how many of the present devotees were born then. In that year, Swami wrote a letter, to be precise on 25th May. That letter is a landmark and we reproduce it below, but before presenting the letter, I must give you some background. You will recall that it was in 1940 that Swami truly revealed Himself. Till then, He was just Sathya Narayana Raju, son of Pedda Venkama Raju and Easwaramma and the grandson of Kondama Raju. But on 20th October, 1940, the world realised that Raju was none other than the reincarnation of Shirdi Baba, and thereafter, He came to be known as Sri Sathya Sai Baba. As many would know, this happened in the small town of Uravakonda. 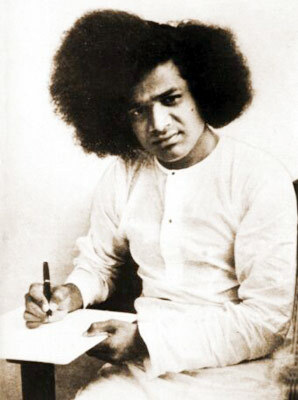 Shortly after that Swami returned to Puttaparthi to make it His permanent home. In those days, He stayed in a tin shed, now known as Paatha Mandiram. The Mandiram still exists, though in a different form. Be that as it may, people began to come to Baba in increasing numbers, and that included many Princes and their families. For example, the Maharani of Mysore used to come to have Baba’s Darshan. She was a Maharani but she too had to get down from her car in Karnataka Nagepalli and walk the rest of the distance. But such was the hunger of devotees that they started coming, first from nearby places and soon from much greater distance. That is what Spiritual hunger does to the true seeker, making him or her forget all the problems. Now in those far-off days, not many accepted Swami as an incarnation and understandably, there was a lot of bad-mouthing as they say. This happened in Bukkapatnam, and indeed even in Puttaparthi itself, as some of you would recall from one of my Musings Talk, in which I described an extra-ordinary incident once reported by the Rajah of Venkatagiri. But I shall not go into all that here. What I want to say is that the Press too started to make unfavourable noises, and that really hurt the elder brother of Swami’s body, namely, Seshama Raju. At that time, Seshama was not yet quite able to appreciate Swami’s true Avataric nature, and in a purely brotherly fashion, wrote a letter of advice, warning “young” Sai Baba of the cunning ways of the world on the one hand, and his various deep concerns on the other. In brief, Seshsma was worried about the impact of the attention that his younger brother was receiving. Would this adoration go to the head of young Sathya? Would He fall a victim to various temptations? Such were the thoughts expressed by Seshama Raju. I received all the communication that you sent. I found in it the surging floods of your devotion and affection, with the undercurrents of doubts and anxiety. Let Me tell you that it is impossible to plumb the hearts and discover the nature of Jnanis [Wise men], Yogis, ascetics, saints, sages, and the like. People are endowed with a variety of characteristics and mental attitudes; so, each one judges according to his own angle, talks and argues in the light of his own nature. But we have to stick to our own path, our own wisdom, and our own resolution, without getting affected by popular appraisal. As the proverb says, it is only the fruit-laden tree that receives the shower of stone from the passers by. The good always provoke the bad into calumny; the bad always provoke the good into doing more good; this is the nature of the world. One must be surprised if such things do not happen. People too have to be pitied rather than condemned. They do not know. They have no patience to judge right. They are too full of lust, anger, and conceit to see clearly and know fully. So, they write all sorts of things. If only they know, they would refrain from writing or talking like that. We should not attach any value to such comments and take them to heart, as you seem to do. Truth will certainly triumph some day. Untruth can never win. Untruth might appear to over-power Truth, but its victory would fade away and Truth would establish itself. It is not the way of the great to swell when people offer worship and shrink when people cool off. As a matter of fact, no sacred text lays down rules to regulate the lives of the great, prescribing habits and attitudes they must adopt. They themselves know the path they must take. Their wisdom regulates and makes their acts holy. Self-reliance and beneficial activity – these two are their special marks. They may also be engaged in the promotion of the welfare of devotees and in giving them the fruits of their actions. Why should you be affected by doubt and worry, so long as I am adhering to these two? After all, praise and blame do not touch the Atma; they can touch only the outer frame. I have a Task: To foster all mankind, and ensure for all people lives full of Ananda (Bliss). I am attached to a ‘Work’ that I love: To remove the suffering of the poor and grant them what they lack. I have a ‘reason to be proud’: for, I rescue all who worship and adore Me. I have a definition of ‘devotion’: I expect that those devoted to Me treat joy and grief, gain and loss, with equal fortitude. I will never give up those who attach themselves to Me. When I am thus engaged in My beneficial task, how can My Name be ever tarnished, as you apprehend? I would advise you not to heed to such absurd talk. Mahatmas do not acquire greatness through someone calling them so; they do not become small just because some calls them small. Only those low ones who revel in opium but claim to be unexcelled Yogis, only those who quote scriptural texts to justify their gourmandary and pride, only those who are dry-as-dust scholars exulting in their argumentative skill, are moved by praise and blame. I do not belong to any place. I am not attached to any name. I have no ‘Mine’ or ‘Thine’. I respond to whatever name you might use. I go wherever I am needed or called. I am not concerned, nor am I anxious that these facts should be made known. I have no need to write these words. I wrote them because I felt that you would be pained if I do not reply. Please read the above letter carefully. Note two things: The good will carry on with their work regardless of obstacles, and AUTHENTICITY WILL WIN. Swami gives the analogy of the tree and in fact, He has expanded on this many a time in His Divine Discourses. He says, man throws stones at a tree but comes to the same tree for shelter when the Sun is scorching at mid day. Not only that; in the end, the tree gives its entire self up as wood, to be used by man. Well, if that be Swami’s Kshama [forbearance], then how can we use the facilities He has given us for spreading His Message, for taking on all and sundry who have no better work than to raise muck? By the way, I was told that in the TV program shown in Australia recently, many of the people who made allegations about Swami had their backs turned to the camera! Imagine that!! These people want to throw mud but do not have the guts to show their face! Do we dignify such people by condescending to “reply” to them? It is these facts that made us to withhold from impulsive and intemperate responses to irresponsible utterances by foolish people. At the same time, when there is misstatement in high quarters, we do make a quiet effort to set the record straight. Let me give two examples. A couple of years ago, the London Times wrote something nasty about Swami. Now the Times is not only the leading newspaper in Britain but one of the leading newspapers of the world, that is held in high esteem everywhere. Clearly if it writes or publishes something incorrect and inappropriate, we have a duty to place the correct facts before it so that its readers do not get wrong ideas. In fact, this is the right of reply that the Press is supposed to offer. So many of us wrote letters to the Times but believe it or not, the Times simply refused to publish any one of our letters. In fact, Air Chief Marshall [Retd.] Nirmal Suri, an ardent devotee, was in London at that time and he personally went to the office of the Times and tried to talk to them; but they did not even bother to meet him. So much for a decent and free press! Another event and that really is what I wanted to write about – all the above is just a long preamble so that you would get the background. Some years ago there was a big conference in Prashanti Nilayam on Educare. It was an international meet with delegates from many countries and started off as a joint venture with UNESCO [United Nations Scientific, Educational and Cultural Organisation]. I remember the event very well. And do you know what happened on the morning of that conference? The newspapers reported that the UNESCO Office in Delhi had issued a statement withdrawing from the conference because of allegations about the Sai Organisation! The muck-rakers had managed to poison the mind of the powers that be in the UNESCO, and the Head Office in Paris immediately sent a message to its Delhi branch to withdraw and issue a press release. We were all shocked. How could a responsible body like the UNESCO pull out just like that and that too without bothering to verify? If they wanted they could have pulled out in a polite fashion but the statement issued was far from polite. And that too from Delhi! My passionate appeal did not work. I was totally disappointed but then God works in His own silent way and according to His own timetable. Recently, an Official of UN Habitat was here for Darshan and he complained how his initiative on Human Values in Water Education programme based on Swami’s Principles, was being thwarted by trouble makers, who were trying to influence the UN Secretary General, quoting the UNESCO Press Release, which was still on the UNESCO website. By the way, the programme that UN Habitat was working on is a sequel to Kanu’s successful project on Human Values in Water education in Africa, based of course on Swami’s teachings. I had a long talk with this Official of UN Habitat, and he subsequently went to Delhi where he managed to meet the Foreign Minister directly. By the way, the Foreign Minister is a devotee and has come here many times. In addition to this, I personally had a long meeting with a top diplomat, another devotee of thirty years or so. This other person had earlier been the Ambassador for India in Paris and also India’s representative in the UNESCO. Both the Foreign Minister and this diplomat were terribly upset that nothing had been done this far, and now, all of a sudden the wheel began to crank. The media Advisory dated September 15th 2000 and viewable at the address: www.unesco.org/education/highlights/media_advisory is posted to explain UNESCO’s inability to participate in a Conference organised by the Institute of Sathya Sai Education [Thailand]. 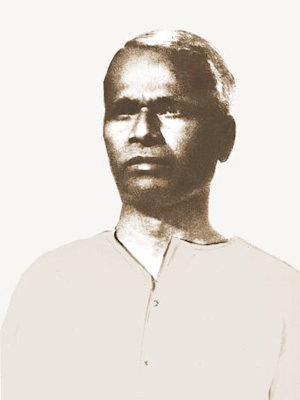 In doing so, it attempts to gravely tarnish the reputation Sathya Sai movement by casting aspersion on the personal integrity and character of its leader, based on hearsay, and unconfirmed press reports. Shri Sathya Sai Baba is a highly respected spiritual leader and publics figure in India and abroad. It is well known that the life and message of Shri Sathya Sai Baba has been devoted to promoting peace, non-violence social harmony and is a moving force behind numerous philanthropic social projects. 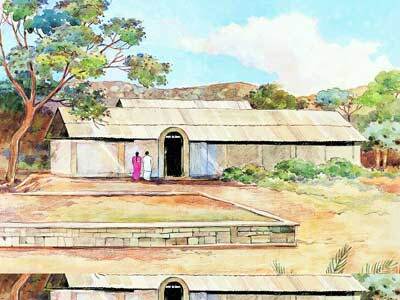 In this context, it is pertinent to mention that the UN Human Settlements Project [UN-HABITAT] launched a major education initiative three years ago, using human values approach propounded by Shri Sathya Sai Baba, to introduce a value-based water education programme through the national curriculum in Africa.. The initiative has been widely accepted at high political levels and among educationists in Africa and is now being replicated by the UN-HABITAT and the Asian Development Bank in Asia and the Pacific. You will agree that issuance of a casual and negligent press release by UNESCO cannot but do disservice to such valuable projects. I would therefore request you to take immediate steps to remove the objectionable press advisory from the UNESCO website. I would also appreciate an expression of regret for the damage caused to one of India’s revered public figures, without first verifying the facts and any consultation with Indian authorities. Well, that is the letter from India’s permanent representative to the UNESCO. Strong letter, is it not? Naturally, the UNESCO hurried to give a reply. Here it is, in part. The letter is from Assistant Director General of UNESCO. I do appreciate this concern and wish to inform you that following your personal intervention, the media advisory in question was immediately withdrawn from the archives of the UNESCO’s web site for education. I hope this letter will set your mind at rest and dispel any misunderstanding. So, there it is. As Swami said long ago, authenticity will always win. I do hope you will share this expression of regret by an important UN body with others whom you know and that slowly the word would spread so that negative propaganda would be laid to rest once and for all, as it indeed must be. The moral of it all is that we must be patient, without giving up our efforts to overwhelm negativity with positivity. That really is the important point. We can never win by fighting slander with counter slander. It is only the misguided who place their faith in the “eye for an eye” philosophy. As a wise man once remarked, if we followed that philosophy, then pretty soon the world would have only blind people! All the best. Jai Sai Ram.